Whether you are preparing for your first round of phone interviews, or your first face-to-face interview for a healthcare position, there are certain steps you can take to ensure success. Read on for tips to make the best first impression with your interviewer. Before any interview, you should do your best to be as prepared as you possibly can. 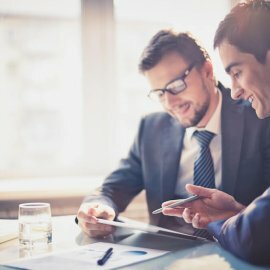 Research on the position you are applying for. Think about your past experience and be ready to discuss it with ease. I typically ask ten questions before deciding if we should move forward in a phone interview. If you’re currently working, be prepared to discuss the details of your last position, as well as the length of your last position. Have an updated resume ready to present and two references from coworkers or supervisors. Make sure you have appropriate health care documents, such as: flu, physical, Hep B, MMR, TB, CPR and Varicella. Don’t forget two forms of identification! Remember… you applied for this job! In both phone interviews and face-to-face interviews, it’s important to remember to have a pleasant attitude with your interviewer. First impressions go a long way. Treat your interview like a friendly conversation with a new friend, instead of an interrogation. Relax and be the best version of yourself. If you don’t have what you need during your first STNA interview, let us know. If you tell your recruiter you’ll get certifications, get them as soon as possible. If you fall off the map during the the process by being unresponsive, don’t come back months later asking for help. Handle things correctly the first time around. Be upfront and let your recruiter know if you are no longer interested. Show up to your interview! If you can’t make it, call ahead and reschedule right away. Be on time. 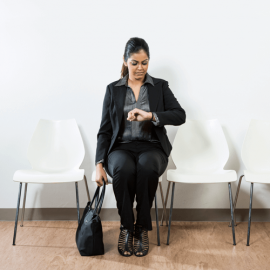 It’s not professional to keep an interviewer waiting. For a phone interview, go somewhere quiet for your call, away from the TV and any family members that might cause a distraction. If you’re at work, don’t take the call, as it makes you appear unprofessional and it takes you away from providing care for you patients and other staff members who are relying on you. Your focus should be on your current job and patient. If you can’t talk, let the recruiter or interviewer know what would be a great time to call back. Please don’t just hang up on them. Make time for your interview when you are off the clock. If you interview at a facility, dress business casual or in a clean and neat pair of scrubs. It shows you’re ready for work. If you follow these tips, you can be sure you are making the best impression during your STNA interview. 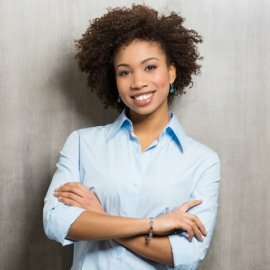 You will land your position by just following these simple tips.